Polyurethane Primers and Paints are widely used by Industry for quick drying characteristics. The coating formed is flexible and provides corrosion protection with good U.V Resistance. It is a dual pack system and available in different colors. Polyurethane Paint can be applied both on P.U or Epoxy Primer. It is available in numerous colors in Glossy / Matt finishes. 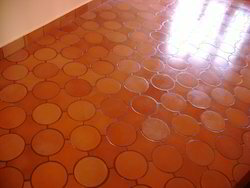 Keeping in mind the precise demands of clients, we manufacture and supply a wide range of Polyurethane Tile Coatings. These are available with us in both Single & dual packs as per the specific requirements of clients. striking colors and matte and glossy finish of these coatings easily catches the eyes of viewers. Our products are admired for their durable nature and longer life. 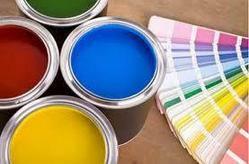 We specialize in manufacturing and supplying a wide range of Polyurethane Paint. These are available with us in pigmented finish and widely used for various exterior exposures, Manufactured from optimum quality raw materials and following international industrial standards, these paints ensure effective usage and high efficiency. Our products are available with us in dual pack and ensure longer life. The area other than the ship hull exposed to the sunlight, Interior Industrial & residential walls, spray / roller finishes, application on stones, claddings, Coloured finishes are suited for elevation terracotta tiles, general industrial components, sheet metal, tools, components. To meet the precise demands of clients, we manufacture and supply a wide range of Water Based Polyurethane. These are with nil VOC content and widely acclaimed for its high toughness and effective usage. formulated as per international industrial standards and using optimum quality ingredients, these Water based Polyurethane are widely preferred by large number of clients. these are offered at pocket friendly rates. 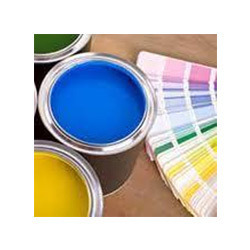 We are involved in manufacturing and supplying a wide range of Aliphatic Polyurethane Paint.These are available in various shades and colors as per the exact requirements of clients. These are Dual Pack, Aliphatic isocyanite Polyurethane paint with outstanding U.V protection with excellent gloss and color retention. One can avail these in various solid colors & metallic / pearl finishes as per their exact specifications and demands. For application on Industrial & consumer goods sheet metal specifically for outdoor application, Auto finish, specialized tools, white goods, components etc. We are one-step ahead of our competitors in manufacturing and supplying a unique range of Aromatic Polyurethane Paint.These are extensively demanded by clients owing to its clear coats, metallic finish and solid colors. Our paints are acclaimed for its fast drying properties and good flexibility. One can avail these in various sized packaging and at market leading rates. Owing to the presence of our experienced team members, we have been able to manufacture and supply a wide range of Polyurethane Wall Coating. These are solvent based coatings available in matt / semi glossy finishes. These provide very tough and hard coating and ensure maximum flexibility with excellent scrub resistance. Our products are widely recommended by clients owing to its longer life and effective usage. 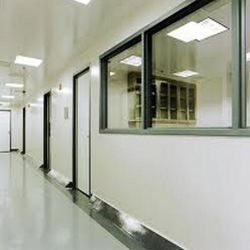 Aromatic Polyurethane Paint provide a durable finishing for chemical environment. 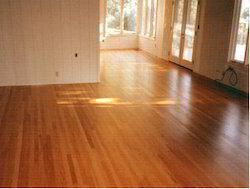 It is generally used in interiors, and gives good abrasion resistance. Uses include in Chemicals & Fertilizer Industries, Petrochemical Complexes and Refineries. These are also used on Interior Maintenance Coating, Mild Steel, Stainless Steel, GI, Aluminium, Plastics, ABS, FRP, Wood, Acrylics, Polystyrene Polycarbonates, Cement, Concrete, etc.